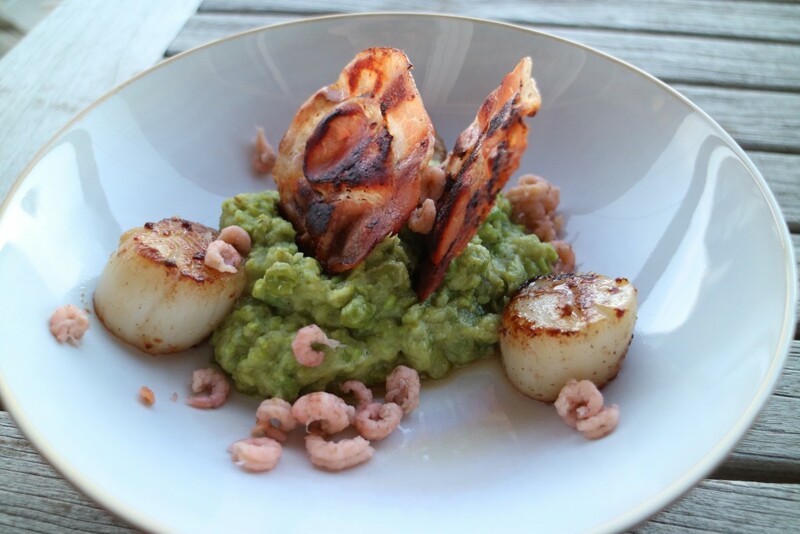 Impress your friends with this fancy, culinary starter; with scallops, pea puree, crispy Pancetta and Dutch North sea shrimps. 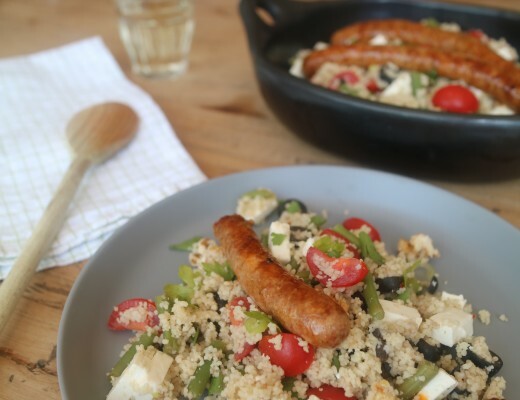 Not too difficult to prepare, but tastes (and looks) fantastic. It’s most important to buy fresh, good quality scallops, not from a pot or a tin or deep frozen (yuk!). Same for the shrimps, if you’d like to use them. The Dutch North Sea (grey) shrimps are delicious, but quite expensive. You can also make this starter without the shrimps. Leave your scallops outside the fridge for at least 30-40 minutes upfront, so they are on room temperature when you start. Season with a little pepper. Peel the potato and cut brunoise (small cubes). Place a pan with water with pinch of salt over high heat and wait until the water boils. 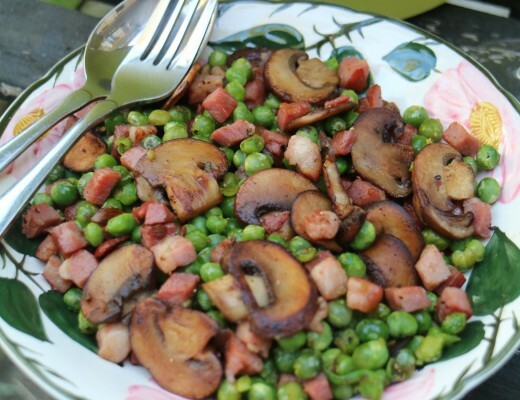 Cook the potato for about 10 minutes and then add the garden peas for another 5-10 minutes. Drain and steam dry on low fire for a few seconds, then drizzle with some olive oil, a lump of butter and mash till it’s a green, smooth pea-potato puree. Taste and season with salt and pepper. Keep warm. Place a big frying pan over medium-high heat and fry the Pancetta until crisp. 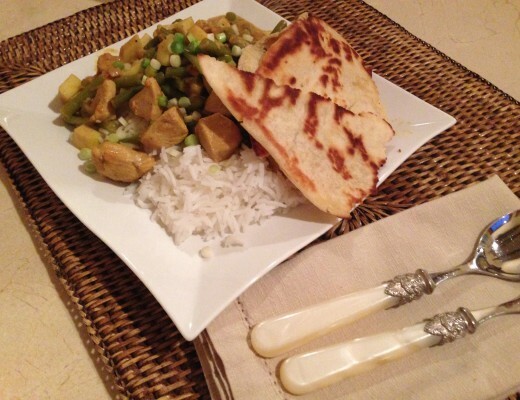 Take out and allow the excess fat to drain on a plate covered with kitchen paper. In the pan from the Pancetta you can fry your scallops too. The Pancetta will add extra flavour. Heat the pan again (medium to high) and add some fresh olive oil. Fry the scallops for about 2-4 minutes each side, depending on how big they are. If they look golden brown but still feel elastic/soft in the middle, they are done. If you use good quality fresh scallops they don’t have to be done completely, what will make them dry (keep in mind one can eat raw scallops too). Season with pepper and sea salt. Take pre-heated bowls or plates, start with the puree as a base of your starter. Add the scallops, crispy Pancetta and a handful of shrimps…. Service direct. Wine tip: a fresh, medium body dry white wine, such as wooded Chenin Blanc or a light Chardonnay. If you prefer red, go for Pinot Noir, Gamay or a light and round Cinsault. 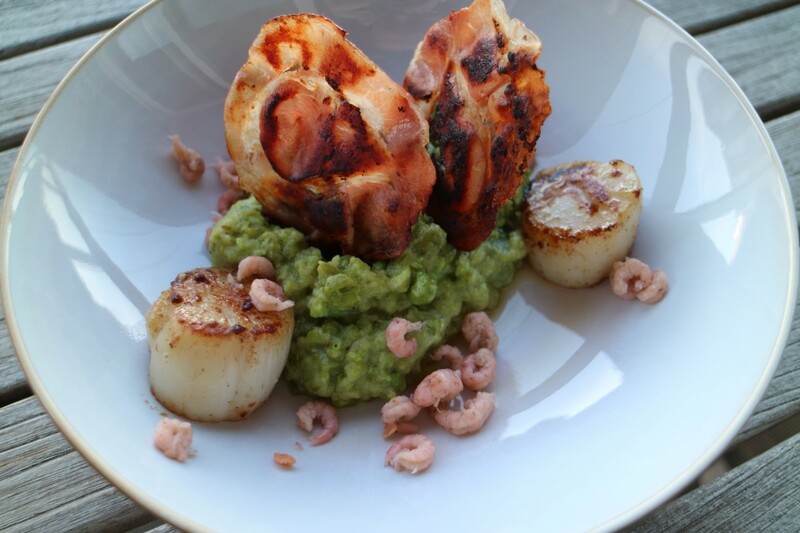 Scallops with pea puree, Pancetta and Dutch grey shrimps…… you can wake me up for that!